Extremely strong Neodymium Magnet with approx. 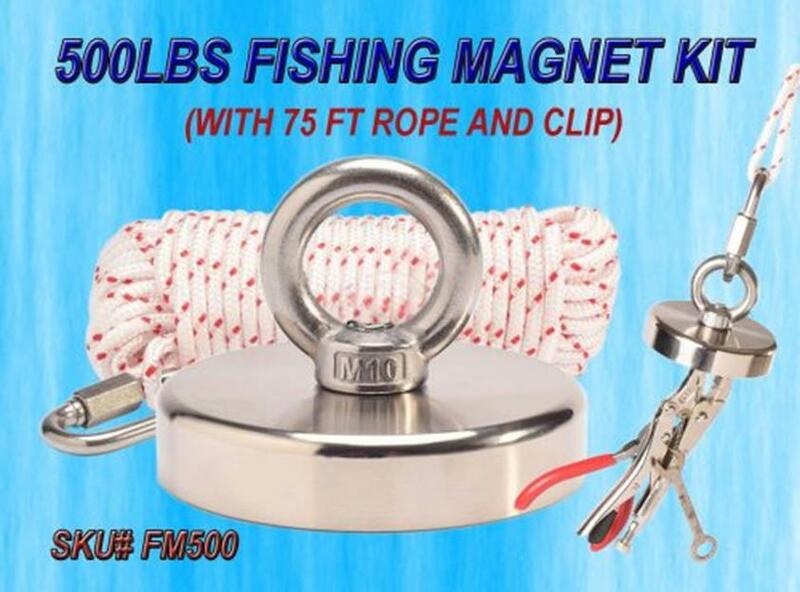 530 lbs pulling force on contact with 1/2" thick steel LARGEST AND STRONGEST NEODYMIUM FISHING MAGNET available on eBay. Pull up huge targets Ideal for magnet fishing, lifting, hanging, or anywhere you need an incredibly strong magnet. Countersunk hole for easy use with eyebolt (included), screws, hooks, and other types of fasteners. 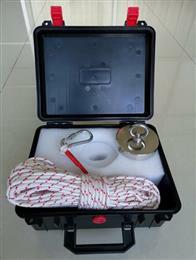 Coated steel cup provides protection for the magnet and helps to prevent chipping or cracking. The countersunk hole allows many types of mounting applications including hook, knob, or included eyebolt. Screw it into a wall to hold tools, or position and hold lights, signs, and more. 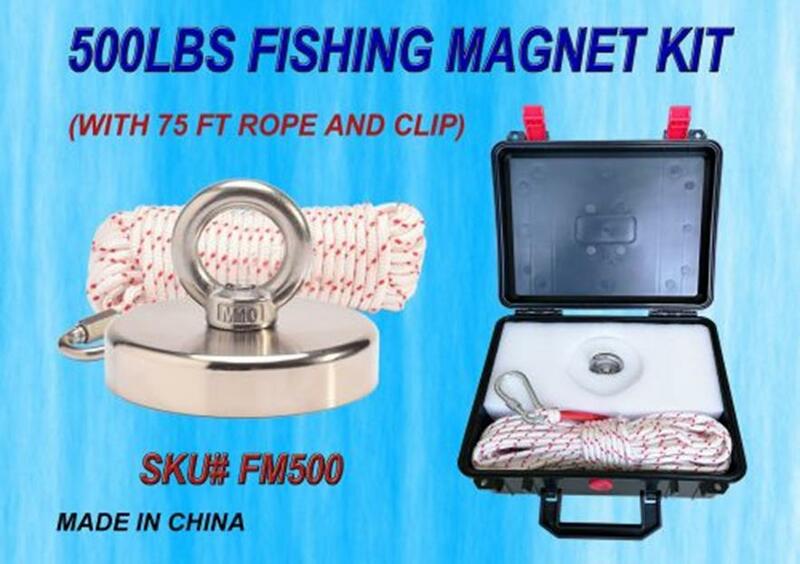 This type of magnet is also perfect for magnet fishing and retrieving applications. 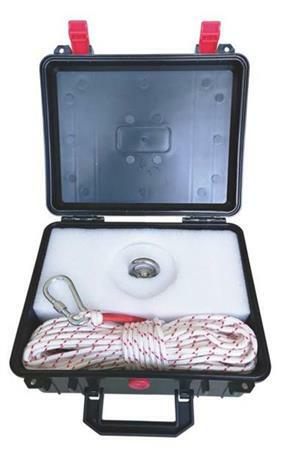 78% more surface area than our 530 lb pull magnet to increase your search area and speed up your rate of recovery!